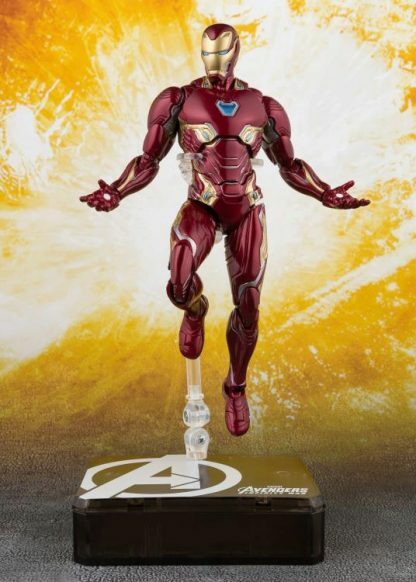 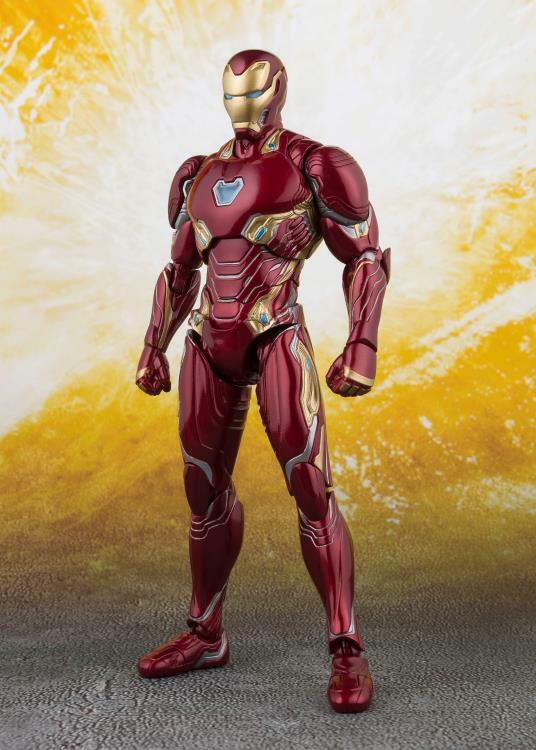 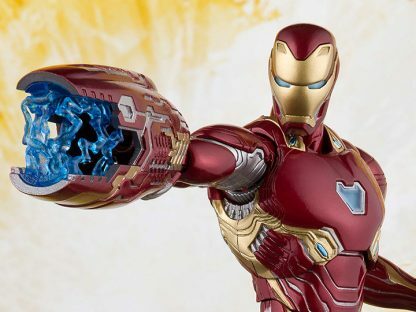 Utilizing cutting edge technology to perfectly capture the balance between appearance and posability, the Iron Man MK50 and Tamashii Stage set from “Avengers: Infinity War” is coming to the S.H.Figuarts line! 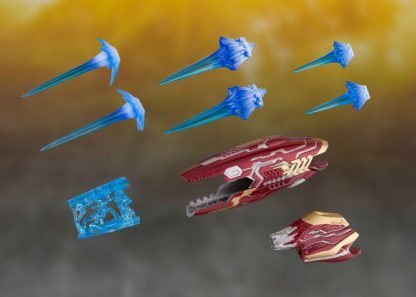 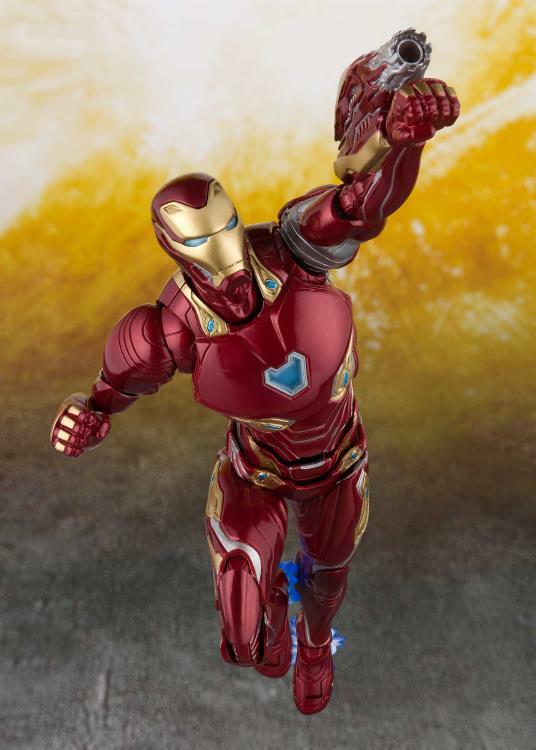 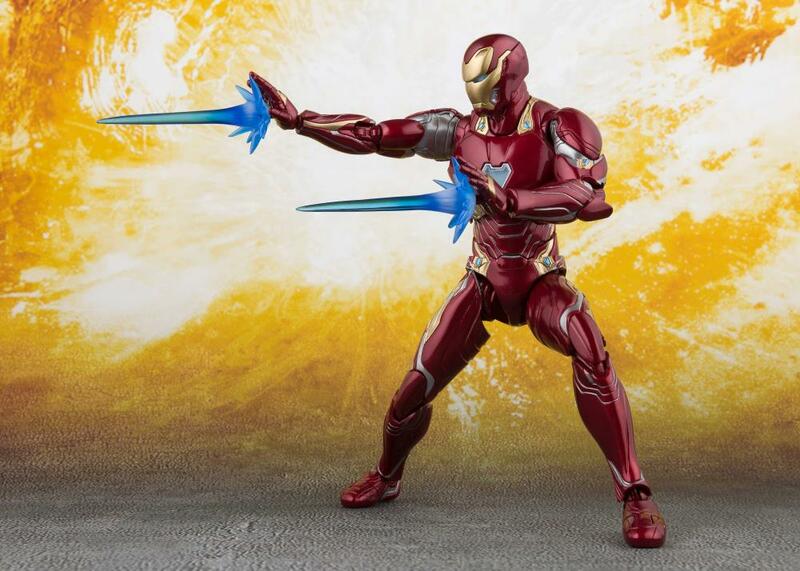 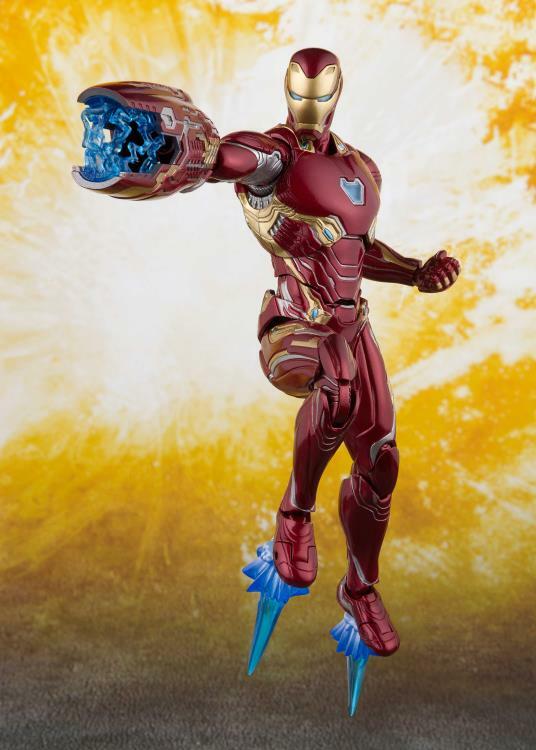 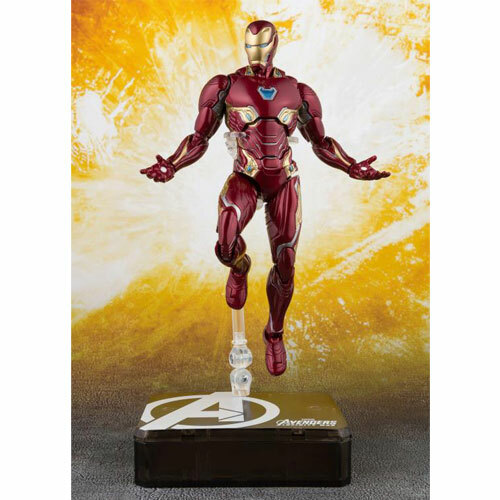 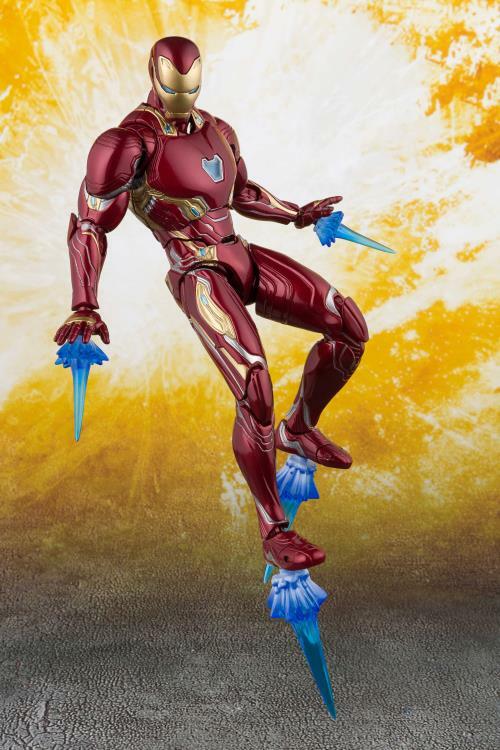 Beautifully sculpted and with incredible posing capabilities, this set includes Iron Man’s latest weaponry that can be attached to both arms. 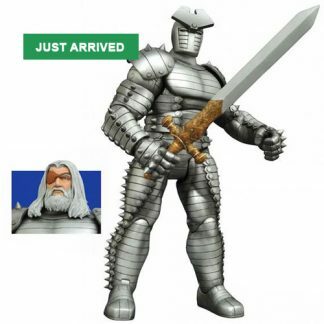 Also included are interchangeable hand parts (3 left & 3 right), 2 weapon parts, and an effect parts set. 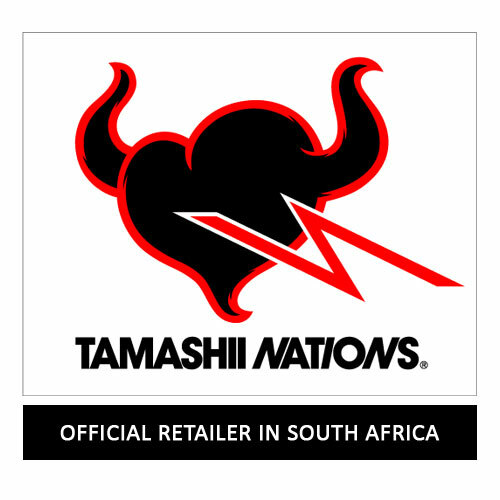 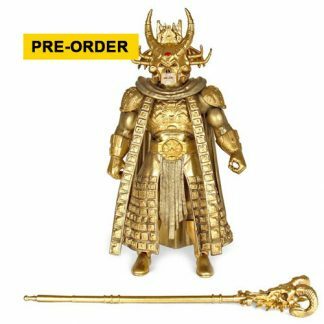 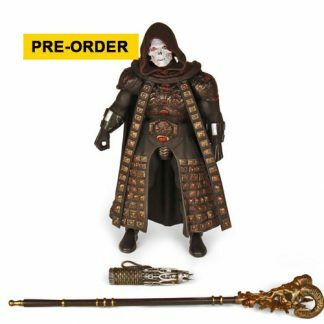 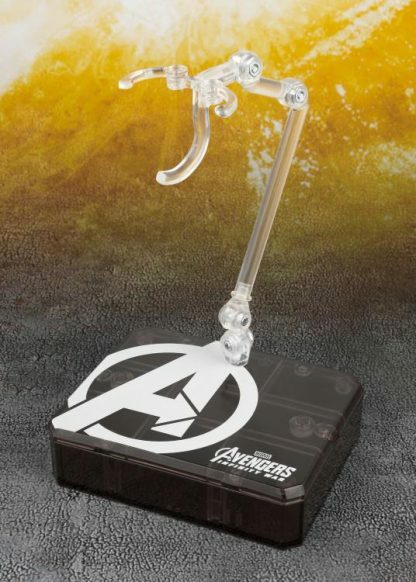 This set also comes with an originally designed Tamashii Stage in a clear black color with the “Avengers: Infinity War” logo.